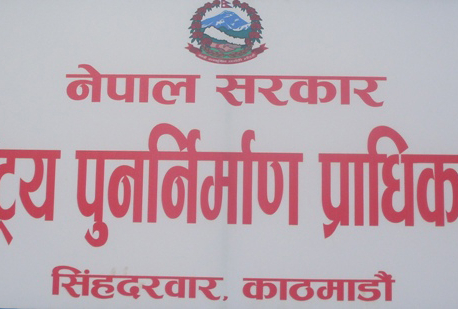 KATHMANDU, Dec 6: The National Reconstruction Authority (NRA), which has been time and again criticized for delaying reconstruction works, has yet again missed its self-set deadline related to various post-earthquake reconstruction and rehabilitation activities by November 30. 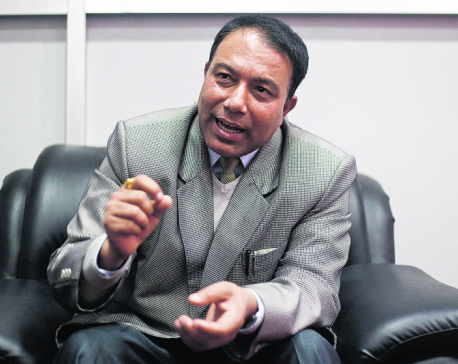 After Prime Minister Pushpa Kamal Dahal vented his ire against the NRA over the snail-paced progress in the post-earthquake reconstruction and rehabilitation task, Chief Executive Officer (CEO) of NRA Sushil Gyewali immediately came up with a detailed time-bound action plan for expediting the delayed reconstruction work on November 21. As per the plan, the NRA was supposed to complete signing of grant agreements with quake victims in the Kathmandu Valley, begin survey of as many as 358 risky settlements and identify safe places for their relocation and sort out as many as 20,000 complaints registered by the victims by November 30. However, none of the targeted works have been completed on time. And it is likely to be further delayed as the NRA remains apathetic to expedite the work. Although already five days have passed since the end of the deadline to complete signing of the grant agreements, the NRA has signed grant agreements with only 58,405 of the total 94,072 eligible victims. It is likely to take some more weeks to complete the process as eligible victims in many places of the Valley have denied signing the grant agreement, demanding that genuine victims left out from the eligible list also be provided the grant amount. However, the NRA has not taken any decisive efforts to resolve the problem and expedite the grant signing agreement process even though the local authorities have already sought support from the government to resolve the problem. 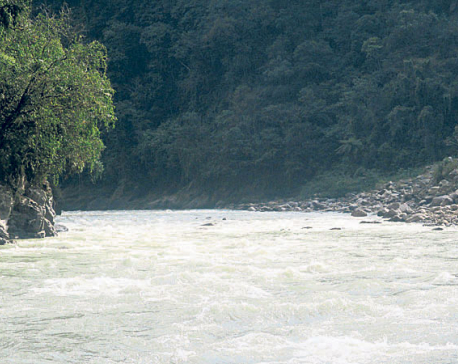 Ironically, spokesperson of the NRA Ram Prasad Thapaliya, taking to Republica on December 3, said that the authority was unaware about the problem so far. Likewise, the NRA has not made any progress in another important task of beginning detailed survey of 358 risky settlements in the quake-hit districts and to identify safe places for their relocation by November 30. The authority is yet to finalize teams for the survey, let alone deploying them. “We are holding talks with the concerned bodies to finalize the teams in the field. We will reach to a decision soon,” Thapaliya said. He said that the NRA has planned to mobilize as many as 40 teams for survey of the risky settlements. Similarly, the NRA's plan to sort out as many as 20,000 complaints registered by quake victims in the first phase by November 30 has made no progress. Not a single complaint has been addressed by the NRA even though over 200,000 complaints in total have been registered by quake victims. The NRA says it is yet to finalize the criteria to identify partially-damaged houses. “Since the government decided to provide Rs 100,000 for victims whose houses were partially damaged, the NRA had to amend the working procedure formed to address the complaints. And as the amended procedure is yet to be endorsed by the government, no headway has been made toward addressing the complaints,” Thapaliya said. The delay is likely to prevent many eligible victims from receiving the housing grants. Earlier, the NRA had also come up with such time-bound action plans. However, failure to implement the action plans led to delay in the overall reconstruction and rehabilitation tasks.